Japan’s “Uncle Olympics” famous for having attended every Summer Games since 1964, has died at the age of 92. 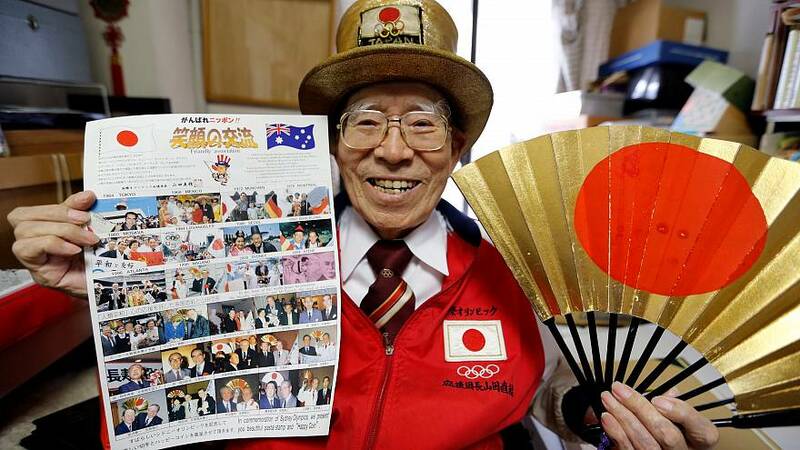 Superfan Naotoshi Yamada will not be able to fulfil his dream of seeing the Olympics return to Tokyo next year, as Japanese broadcaster NHK reported on Monday that he died on March 9, following heart failure. Yamada first experienced the Games when Tokyo last hosted the gathering in 1964 and had adopted the nicknames "Olympic Ojisan", or "Olympics Grandad" over the last half-century. His distinctive gold top hat and red jacket along with his beaming smile, he had been a colourful mainstay at every Summer Games since Tokyo ’64, taking in Mexico City, Munich, Montreal, Moscow, Los Angeles, Seoul, Barcelona, Atlanta, Sydney, Athens, Beijing, London, and Rio de Janeiro. In an interview with Reuters in October, Yamada expressed the Tokyo 2020 Games would be “the culmination of all my years cheering the Olympics”. The Tokyo businessman had become both a national celebrity and a darling of international media through the years. Born in 1926, Yamada built a successful wire rope manufacturing business, and also expanded his portfolio to include the hotel and real estate sectors.